The sermon on Sunday, September 26, 2010 referenced two websites that we wanted to make available to you. The Gospel Reading was the story of the Rich Man and Lazarus. After re-reading the Gospel passage, why not check out The Least of These and Wealth Calculator to see where you stand in the mix of worldwide wealth and poverty? Share your feelings and insights in the comments below. I did mine…and…wow. Our family is at the very tippy-top of the percentages. 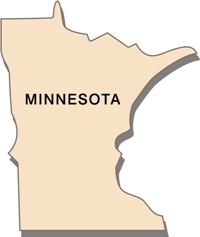 Conflicted feelings–I don’t “feel” wealthy, but yet we have a home, heat, food, health car, vehicles, jobs…many amenities too, like an iPhone and $ to head to a couple of Twins games each year. We give to church, to charities like the United Way and March of Dimes and many, many others…and I’ve even done some micro-loans through kiva.org. But as I stare at that percentage, there is guilt, too, that we could be doing MORE.